Model with one dual satellite dvb-s2 tuner. The future of digital TV media begins in early November, when the innovative DM900 ultraHD is launched into the trade. 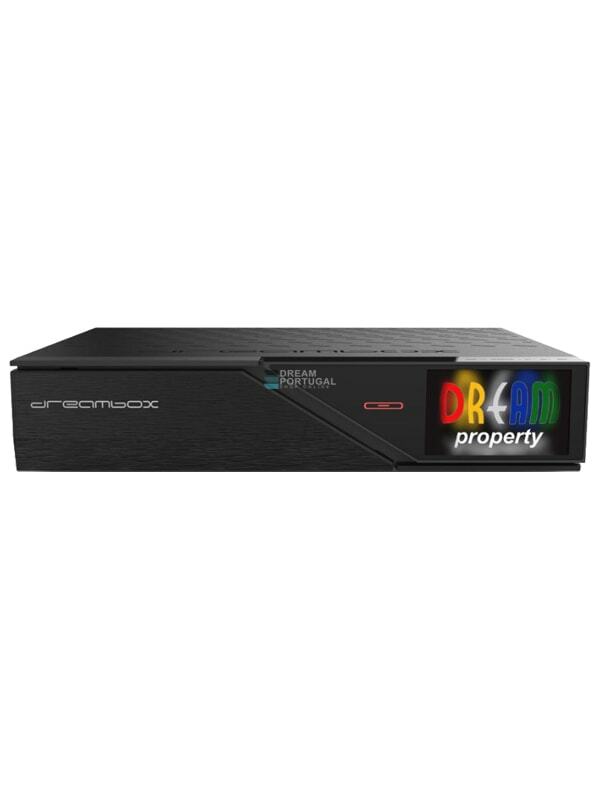 The first Ultra-HD Dreambox combines all the quality features for which the Dreambox brand is renowned worldwide: powerful hardware, enormous computing power as well as the continuously evolved Dreambox OS provide the foundation of an Ultra-HD media system that is optimally prepared for the demands of the digital TV of the future. The fast CPU as well as the huge memory capacity ensure navigation is fast and smooth. Live TV, recordings, streaming and plugins are no longer worlds apart, instead, in the DM900 ultraHD they are combined to a unique user experience. The Dreambox OS, which has been continuously developed, integrates each and every plugin into the system seamlessly. Where others reach the limits of their capabilities, the DM900 ultraHD opens the window to the digital future. The dedication of the DM900 ultraHD to the highest level of quality is manifested in the unique design of the Dreambox. The shape, which is both futuristic and has extremely straightforward lines ensures the DM900 is clearly and visibly different from the typical box format of other TV receivers. The excellent reputation of the Dreambox is based on the technological knowhow that goes into its development. Like all other Dreamboxes that went before, the DM900 ultraHD was developed entirely in Germany. For all those who are looking for a TV/IP receiver system that is ready for the future, should be anticipating the launch of the DM900 ultraHD with bated breath.